To find your Surname Project's website, go to the Surname Projects Page. Look for the project in the alphabetical list and follow the link to the website. Some websites are at World Families.net and others are at FTDNA or on a personal website. There is sometimes confusion about using the Family Tree DNA website and the Project website that is located at World Families. These are two separate websites that have information about your DNA testing for genealogy and your surname project. When you log in at www.familytreedna.com, you will need to use your kit number and the password they sent you when your kit was returned. You DO NOT need to be registered or logged in to view any page on the website. You can find your project's website by typing the surname in the search box in the top left corner and then following the link to the project's homepage. When you register and log in, you can click on “Make this a Favorite Project” in the left sidebar at the project website, and a link to the project website will appear under “Favorite Projects” each time you return to www.worldfamilies.net and log in. You can track several projects. Navigate to all the pages of the website by using the menu bar across the top of the project page. Worldfamilies.net offers free websites to any project at FTDNA. WorldFamilies.net sets up project websites for all the FTDNA Projects we administer. WorldFamilies.net co-administers projects with Admin from the family. Project Administrators can choose to use a WorldFamilies.net website instead of or in addition to the FTDNA Project Public websites. It is the only place where you can see your results and your pedigree lined up with all the other results and pedigrees in the project. It is also the place where the Project Administrator can present information about the project and its findings. The project forums provide a place for project members to post information and ask questions. Go to the Surname Projects page at WorldFamilies.net to do a search for your project's website. Go to www.familytreedna.com and do a search for your surname. If there is no project for your surname, WorldFamilies.net will set one up. in the upper left corner. By clicking this link and clicking "Join" you are joining a WFN Surname Community (Group) of users who are researching this surname. Joining a WFN Surname Community (Group) does NOT make you a member of the Surname DNA Project at FTDNA--you have to be tested at FTDNA for that. 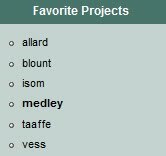 you a link to that project under "Favorite Projects"
Use the menu bar across the top of your project's website to navigate to each page of the website. Patriarchs and y-Results pages will be of most interest right away, but take a look at all the pages to learn more about the project. Project Home-tells the purpose of the project, or can be special information from the Project Administrator, specific to this project. Patriarchs --the page showing submitted pedigrees (at present, not limited to project members). These are usually posted in chronological order, linked when possible. Look for names and places that link to your own pedigree. To contact the submitter of the pedigree, use the contact information at the end of the first line (change the AT to @ and remove the spaces). y-Results -- the page where the yDNA test results for project participants are displayed in a table, grouped by haplogroups and lineages. Click "Notes for Understanding Results Table" above the results table or scroll to the bottom of the Results Page for explanation of the results table. For more information on understanding your results on the Results Page. Forum --the forum boards for the project let any interested researcher post any information or questions about the surname, the dna project or dna testing. Pedigree -- the Pedigree forum to post your pedigree. If you ARE A MEMBER of this Surname DNA Project Project at Family Tree DNA, click here to send your pedigree by EMAIL to WorldFamilies.net. The pedigree will then be posted on the Patriarchs Page by Worldfamilies.net or sent to the Project’s Administrator. Order --the project order page at FTDNA. This will give you the project price for yDNA tests, which is less than ordering as an individual. Disc --the discussion page for your project--Project Administrator can use this as a newsletter or information board. 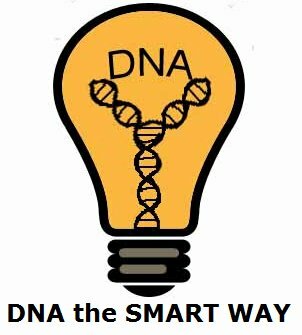 Join Project -- explains how to join the project, either by ordering a test through the project, transferring into the project, or re-testing through FTDNA. "Help" --where to look for the information you seek, Allows you to email us directly.